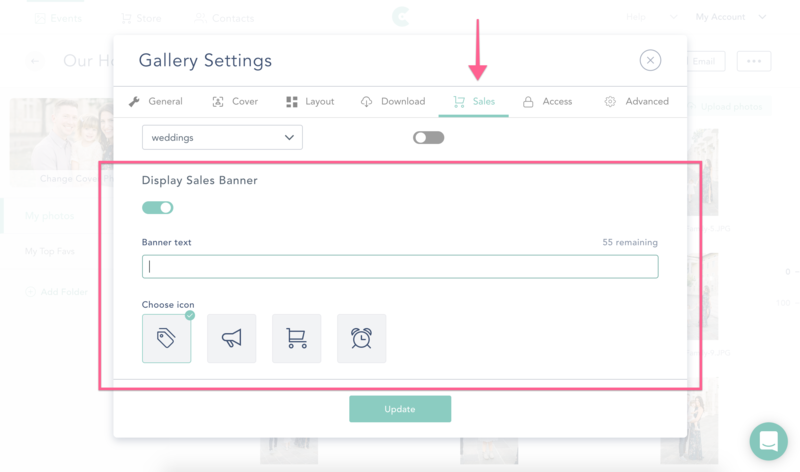 Display a custom Banner message at the top of your galleries for all visitors. Adding a custom Banner to the top of your client galleries is a great way to share important information with everyone who views your photos! 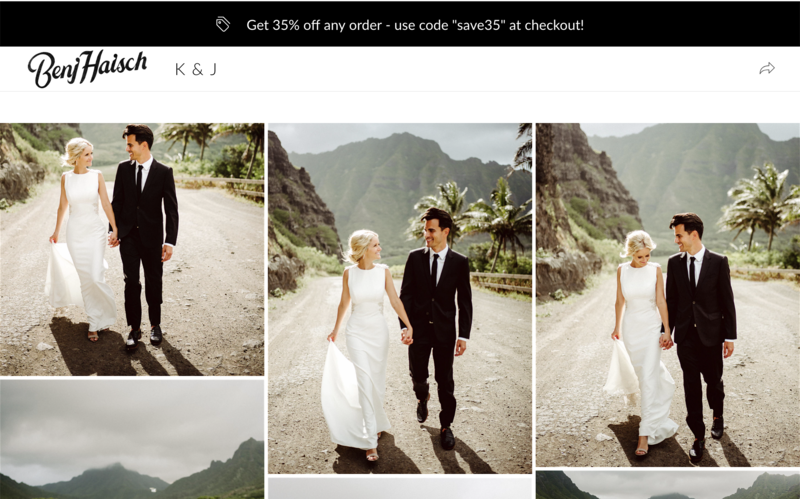 In the settings of a gallery, click on the SALES tab. Scroll down to see the toggle for "Display Sales Banner." Enter in your custom message and select the icon to best compliment it. 3. Once the gallery is published, you will see the banner display at the top of the gallery!